C&S Wholesale Grocers announces the fifteenth anniversary of Mini Grants, a donation program to help small, community-based nonprofits thrive and make an impact. Since the commencement of the Mini Grants program, C&S has awarded over $1.4 million in cash and contributions of food to more than 2,300 groups. Through Mini Grants, C&S invests in local good works by donating funds or modest amounts of food. The funds, up to $1,000, are used to support organizations’ general operations or special projects. The donated food is often used at events, such as volunteer training sessions, appreciation celebrations or other activities to raise awareness and funds. The C&S Mini Grant program focuses on nonprofits located in “our backyard,” concentrating on groups located within 20 miles of C&S’ facilities and where its employees live. Requests for support are reviewed by teams of non-executive C&S employees, which is key to the Mini Grant program’s impact. The program empowers employees to make decisions and helps the company participate in making communities stronger. Mini Grants are aligned with the company’s philanthropic pillars which include Eliminating Hunger, Supporting Children and Community, the Environment, and Volunteerism. C&S community involvement programs support initiatives to fight hunger and to promote the health and enrichment of communities that are homes to the company's employees and facilities. To learn more, please visit http://community.cswg.com. 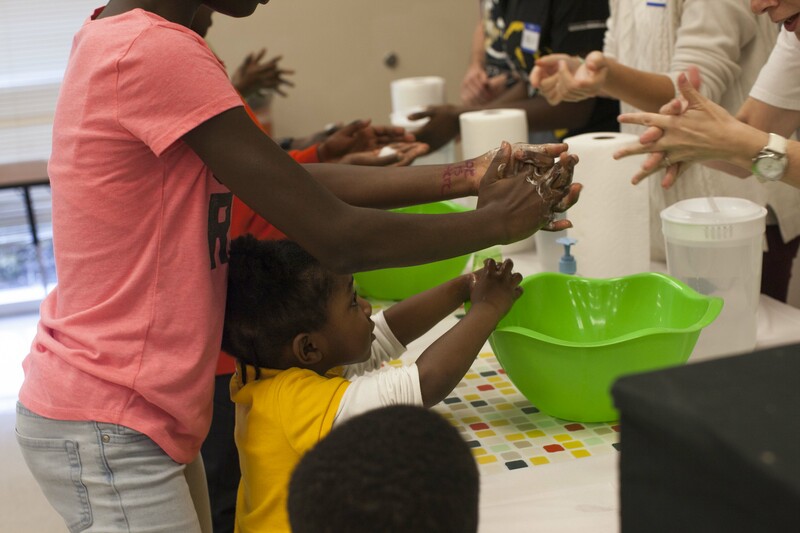 A recent C&S Wholesale Grocers Mini Grant was given to the Clean the World Foundation in Orlando, FL for its Soap in Schools program, which provides free personal care kits to families.